I’m pretty sure that’s who this pup is, anyway. 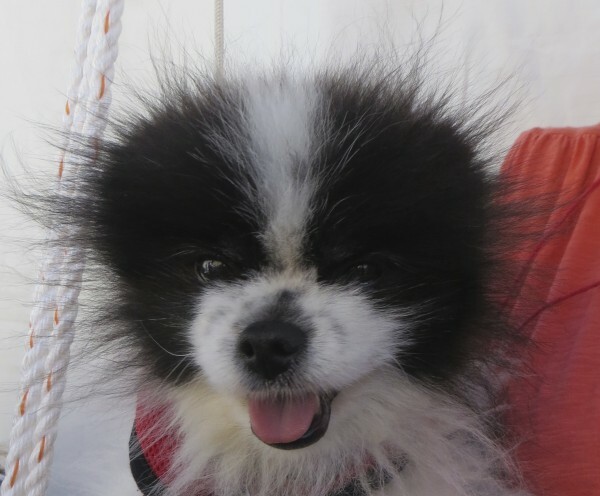 And I’m sorry, no dog with a face like that is going to win any ‘ugliest dog’ competition… even if her alopecia (‘alpo-pecia’ perhaps?) is acting up more than a little. Hey, it’s just a little bit more spotty puppy belly than usual to rub, right? 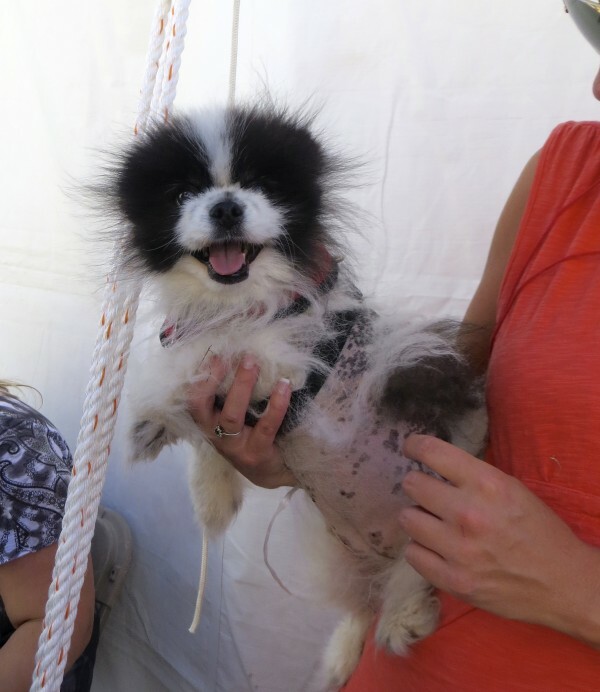 This may well have been the happiest dog there. Possibly even including the corgis. Look at that amazing fluff. I gotta be honest, it’s contests like this that make me really glad dogs don’t understand English. 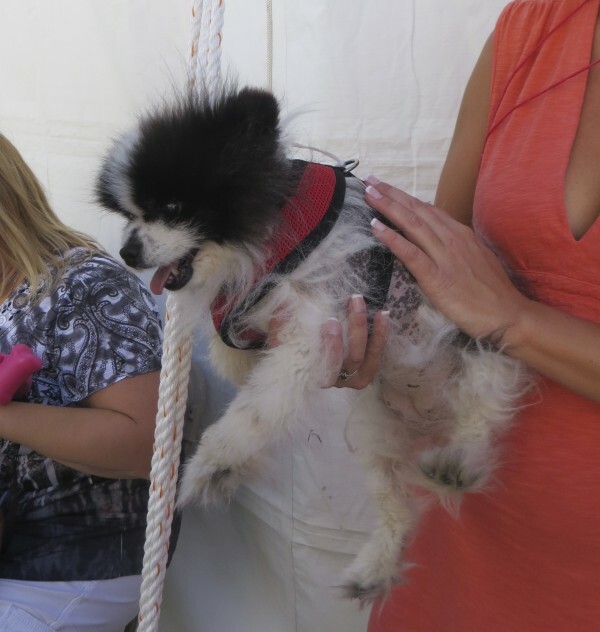 This entry was posted in Dog of the Day, Dogs out of SF and tagged Pomeranian, Sonoma, World's Ugliest Dog. Bookmark the permalink.